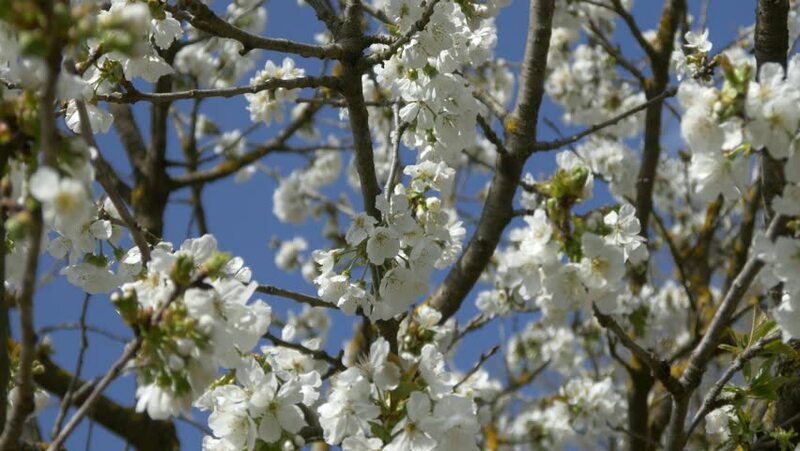 hd00:20Adorable cherry branches with amazing white blossom and young green tiny leaves, waving on light wind on blue sky background. Revival of excellent nature after cold winter in beautiful HD clip. hd00:22Blossoming tree of a pear. 4k00:17White flowers on a tree branch against a blue sky.